After a dramatic early-morning Friday vote that appears to have at least temporarily derailed Republican attempts to gut Obamacare, both Colorado senators were calling for a bipartisan fix to the health care system at a time when partisanship is at an all-time high in Washington. 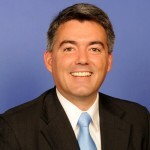 Colorado Sen. Cory Gardner, a Republican, voted on straight party lines numerous times over the last several days, supporting a series of failed bills that the nonpartisan Congressional Budget Office estimated would cause anywhere from 16 million to 32 million Americans to lose their health insurance by 2026 while simultaneously sending premiums through the roof. Dubbed Trumpcare by its many, many critics — and polling at around 20-percent popularity — Republican’s health care agenda after seven years of railing against Obamacare amounted to a frenzied bid to dismantle the now-popular program without any meaningful replacement. 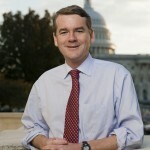 Colorado Sen. Michael Bennet, a Democrat, repeatedly voted along party lines to block Republican attempts to crush Obamacare, calling for his GOP colleagues to work across the aisle in a more traditional senatorial process, including committee hearings with actually testimony from stakeholders. He blasted the process and the policy, calling out Trumpcare for the damage it would do to Colorado families. Gardner, meanwhile, kept his focus on the past administration and the problems with the Affordable Care Act, or Obamacare. Six percent of Coloradans get their insurance on the individual market, with the vast majority obtaining health insurance through their employers. In fact, Republicans largely excluded Democrats and many Republicans from the process despite repeated calls for bipartisanship over the last several months. Gardner was part of a secretive 13-member group of all-male senators who forged the doomed Republican replacement bill known as the Better Care Reconciliation Act. After the BCRA failed by a large margin earlier in the week, with every Democrat and numerous Republicans voting against it, the final vote came down to a 1:30 a.m. “skinny repeal” that would have eliminated key provisions of the ACA. Republican Sens. Lisa Murkowski, Susan Collins and John McCain joined Democrats in ending that bid by a 49-51 margin. Now President Donald Trump, rather than working to fix the key problems with the ACA, has vowed to work to undermine it and let it die. Such a de-funding of the ACA would be catastrophic for millions of Americans now reliant on the Obamacare health exchanges, according to expert analysis from the Kaiser Family Foundation and other health care groups. “It should have never been this close,” Bennet said of the skinny repeal vote. “After seven years of campaigning to repeal the Affordable Care Act, Majority Leader Mitch McConnell forced a vote at 1:30 in the morning, on a bill he introduced only a few hours earlier. He did so without a single hearing to discuss its contents and provide bipartisan input. The process was a disgrace, but the substance was worse. Bennet added that the cynical process was aimed purely at some sort of legislative “win” rather than actually helping Americans obtain affordable health care and insurance. Colorado Gov. John Hickenlooper, a Democrat who had joined a bipartisan group of governors calling for a better process, continued beating that drum after Friday’s close call. Democrats welcomed the public outcry against Republican plans to de-fund Medicaid and pass on massive tax breaks to the wealthiest Americans. “Regardless of whether you support the Affordable Care Act or oppose it, most Coloradans are deeply dissatisfied with our health care system,” Bennet added. “They know it needs major reforms to lower costs, expand coverage, and increase choice. They deserve a health care system worthy of their decency and befitting the wealthiest and most innovative nation on Earth. U.S. Rep. Jared Polis, a Boulder Democrat who represents Vail and a surrounding portion of Eagle County in Congress, hailed the Senate’s failure to dismantle the ACA. “This is a big win for the American people: for the little girl in Pueblo who underwent open-heart surgery at three weeks old without hitting policy limits–for the grandfather in Lakewood who depends on Medicare after serving our country–for the young mom in Colorado Springs who is able to obtain the prenatal care she needs for a healthy pregnancy–for the college student in Boulder who can stay on mom and dad’s plan while he pursues higher education,” said Polis, who is seeking the Democratic nomination to run for governor in 2018. “This is the moment when we decide what kind of country we want to be, and I’m proud to know we’re standing together and standing up for 22 million Americans who would have lost their health care if the Republican plan succeeded,” added Polis, who voted against the House version of Trumpcare that passed by a scant four votes in May. U.S. Rep. Scott Tipton, a Cortez Republican who voted in favor of that bill (called the American Health Care Act) and represents part of Eagle County in Congress, did not issue a statement on this week’s Senate health care failure.